Johnson Mediation is an excellent starting point for you if you are in the midst of a conflict. For many people, this translates to being in the late stages of a primary relationship, which often leads to the decision to seek a divorce. The traditional approach to divorce—through the court system—is becoming less and less appealing to many people. The court system is busy; the court system tends to be expensive; and the court system has to focus less on the best possible outcomes for people who are there to finalize their divorces. And that’s where meditation can be particularly useful. Divorce Mediation: Our mediators help divorcing couples approach the dissolution of the marriages collaboratively so that the relationship can end as amicably as possible, so that the children are not impacted negatively, and so that financial ties can be undone as fairly as possible. Divorce mediation can help settle important issues such as division of assets, property and debts, child custody and child support payments. Parenting Consulting: When divorcing parents have children, the children need to be prioritized. Johnson Mediation’s approach to Parenting Consulting involves addressing the issues faced by the divorcing parents in a way that ensures their children the top priority. Parenting Consultants can help parents address such issues as Parenting Time, how parents will modify their parenting style (if necessary), financial issues, and extracurricular activities, to name just a few. Parenting Time Expeditor: This is a specific feature of Parenting Consulting, focusing in on the issue of visitation (also known as Parenting Time). The Parenting Time Expeditor is a mediation professional who draws up a contract specifically related to schedules and visitation agreements between divorcing parents. Early Neutral Evaluation (ENE): Social and financial are the two main areas of early neutral evaluation. It is a process employed by Johnson Mediation to help couples reach a settlement in the hopes of averting litigation to determine issues like custody, parenting time, and financial questions. Divorce Coaching: Johnson Mediation offers divorce coaching as a way of helping individuals adjust to life after their divorce. A divorce coach serves as an advocate and provider of insight that may be difficult for a recently divorced person to create for themselves due to the stresses of divorce. Post-Divorce Support & Grief Recovery: Our staff care about the people who seek their help. They also understand that divorce often causes people to experience grief, which can be overwhelming. Individual Divorce Support: When couples are unable to approach their divorce from a collaborative place, we will provide you with individual advocacy. It’s not always possible to end a marriage amicably, and when that occurs, the staff are there to advocate on your behalf only. Couples Divorce Support: Wherever you are in your relationship—even if you are not yet at the point of seeking divorce—our team can help you. 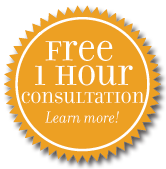 Johnson Mediation offers services that are open to all couples that can help you communicate better. If that process does not save your marriage, it will likely make your divorce more amicable. Co-Mediation: For a variety of reasons, including the level of comfort one or both members of the divorcing couple may have with the gender of one mediator, Johnson offers the option of Co-Mediation, which amounts to a professional team approach to your divorce mediation process. If you live in the Chanhassen, MN area, call our team at (952) 401-7599 to learn more about the mediation services offered by the team at Johnson Mediation.